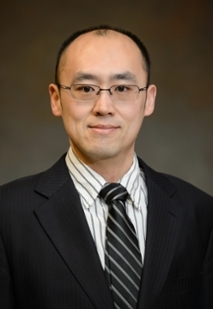 Dr. Zhao joined the department as an Assistant Professor in January, 2015 after obtaining his Ph.D. in Mechanical Engineering from Purdue University. His research interests lie in understanding of fundamental physics of laser-matter interaction, and the application of ultrafast lasers for novel manufacturing and materials processing techniques, including micro/nanomachining, surface structuring, shock peening, additive manufacturing, dissimilar materials joining, etc. Dr. Zhao is an ASME/MED Manufacturing Processes Technical Committee (MPTC) member, and members of ASME, SME, and LIA. He serves as the reviewer for over 20 top journals in his field. Dr. Zhao is the recipient of 2018 Outstanding Young Manufacturing Engineer Award from SME. PhD, Mechanical Engineering from Purdue University in 2014. MS, Physics from Tsinghua University, Beijing, China in 2008. BS, Physics from Tsinghua University, Beijing, China in 2006. Numerical modeling and experimental study of laser-matter interaction, laser-plasma interaction, micro/nanomachining, laser-induced multi-scale surface structures, laser shock peening, additive manufacturing, dissimilar materials joining.